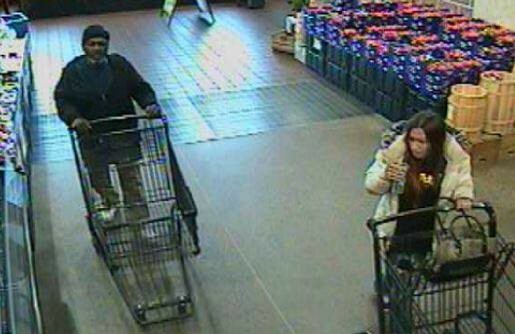 Police say the duo pictured are suspected of stealing $420 worth of small appliances from Wegmans on Oct. 31. According to Mt. Laurel Police, at approximately 5:10 p.m. on Oct. 31 these two subjects pictured are suspected of stealing $420 worth of small appliances from Wegmans on Centerton Road. If any member of the public can identify the two pictured suspects or have further information concerning the crime, they are asked to call the Mt. Laurel Police at (856) 234–8300, use the department’s confidential tip line at (856) 234–1414 ext 1599 or message the department through Facebook.